There are so many different ways of investing your money, but foreign exchange is one of the lesser known methods by the average person on the street, despite the fact that it is the world’s largest financial market. Billions upon billions worth of currencies change hands each and every day through the main hubs of London and New York. Quite simply, people buy and sell currencies in exchange for other currencies in an attempt to make a profit based on changing exchange rates. There are several reasons that people choose to trade, and here are three of the top ones. If you’re not already aware, marketliquidity refers to the ability for assets to be bought and sold without those purchases and sales causing major changes to prices, and for it to be easy to facilitate deals. This comes about when there are lots of participants and many assets, and is attractive because it makes controlling the market by one or more parties very difficult indeed, and truly drastic changes take time to occur. The forex market, owing to its enormous size, has a very high liquidity, which means that small and large players can get involved easily, and trades can be made in seconds. This leads us on to our next point; accessibility. Just about anyone can get involved in forex trading if they want, and this is one of its big attractors. While the big players are state and commercial banks, at the lowest end are people who just take part in their spare time, risking just pocket change at a time with things like spread betting, where you simply wager money per pip (percentage point) that a currency pair moves in the direction you predict. New traders can try their hands at investing by checking out demo accounts offered by brokers, such as the ones available over at oanda.co.uk. Some forms of investment, such as ISAs, are reasonably good in the long term, but never really offer the potential for substantial gains. 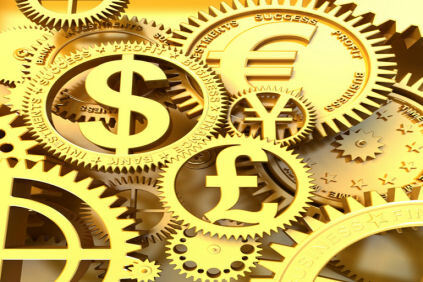 Forex however is quite different, and there are many peoplethat make a living simply through trading. This is because price changes happen frequently; second by second, and by using leverage (which amplifies your profits and losses compared to the money you deposit) this can mean large and instant returns. There is of course risk associated with all this; profitability and risk often go hand in hand, but this is possibly the biggest reason that new traders set up shop every single day all over the world.